Stephen Amell gets suited up for the CW Network’s 2015 Upfront held at the London Hotel on Thursday morning (May 14) in New York City. The 34-year-old actor joined his Arrow cast-mates Emily Bett Rickards, Paul Blackthorne, Willa Holland and Katie Cassidy for the annual upfront presentation. Arrow will be staying in the 8PM Wednesday time slot for the upcoming 2015-2016 season on the network, just before Supernatural. “Nice bunch to go to work with @CW_network @MzKatieCassidy @Willaaaah @amellywood @grantgust @david_ramsey @CavanaghTom #Arrow #TheFlash,” Paul captioned on Instagram from the event. Check out the pic below! What's Happening On Tonight's 'Arrow'? Find Out Here! 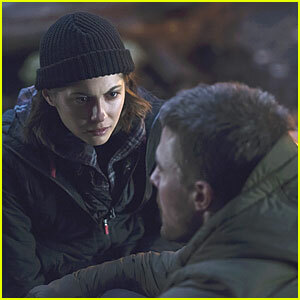 Thea (Willa Holland) grows concerned over Oliver (Stephen Amell) in this new still from tonight’s Arrow. In “The Offer,” still weighed down by his last meeting with Ra’s al Ghul (Matt Nable), Oliver returns home to find a new villain and his crew have started terrorizing Starling City � Michael Amar AKA Murmur (Adrian Glynn McMorran), a man whose mouth has been sewn shut. Meanwhile, Laurel (Katie Cassidy) and Nyssa (Katrina Law) bond over their issues with their fathers and Nyssa make Laurel an offer; and Thea is forced to come to terms with her father after Oliver brings Malcom (John Barrowman) to the loft to recover, and Lance (Paul Blackthorne) shuts out both Laurel and the Arrow. Willa Holland, Emily Bett Rickards and Katie Cassidy show off their chic style at the Arrow panel during at The Paley Center For Media’s 32nd Annual PALEYFEST LA at the Dolby Theatre on Saturday night (March 14) in Hollywood. 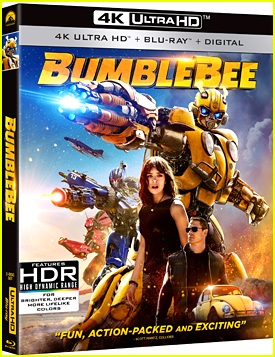 The three actresses were joined by co-stars Stephen Amell, Colton Haynes, John Barrowman, and David Ramsey. Chatting about the subject of Felicity and Oliver, Emily opened up about how her character is really feeling about his return. Robbie Amell & Italia Ricci Make the Perfect Post-Oscars Party Couple! Robbie Amell and Italia Ricci look so in love while stepping out at the 2015 Elton John AIDS Foundation Viewing Party following the 2015 Academy Awards on Sunday evening (February 22) in Los Angeles. The engaged couple was joined by his Arrow friends Colton Haynes, Willa Holland, and Katie Cassidy, who attended with producer boyfriend Dana Brunetti. FYI: Italia is wearing a Yosep Sinudarsono gown with Doves and Le Vian jewels, a Swarovski clutch, and Le Silla shoes. Robbie is wearing a Klein Epstein & Parker tux with Ox and Bull cufflinks and Louis Leeman shoes. Zoey Deutch and Avan Jogia couple up for Vanity Fair & FIAT’s Young Hollywood Celebration held at No Vacancy on Tuesday (February 17) in Los Angeles. The duo was joined by Kaitlyn Dever, Britt Robertson, Kat Graham, Shay Mitchell, and Willa Holland. “You know you had a sweet Valentine’s when you wake up with chocolate in your hair and it’s just after 1pm #winning,” Willa recently tweeted. FYI: Zoey is wearing an Elie Saab dress with Bionda Castana shoes. Avan is wearing a Vivienne Westwood suit. Kat is wearing Rachel Zoe pants, a Lorena Sarbu blazer, Rene Cavollia shoes, an Edie Parker clutch, and a Supreme Jewelry ring. Willa is wearing a Gucci jumpsuit, EF Collection jewels, and a Kotur clutch. Shay is wearing Jennifer Fisher earrings.